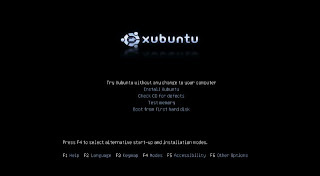 Being a fully satisfied Xubuntu 7.10 user, I've been eagerly waiting for the distribution release of Xubuntu 8.04 which will be coming out most probably at the end of the month. Codenamed "Hardy Heron", it is a "long-term support" LTS release that promises some new and exciting features and incremental improvements on stability, security, and overall performance. To have a feel of what's yet to come, I downloaded and installed the recently released Xubuntu 8.04 Beta. I also wanted to find out for myself if Hardy's enhancements are crucial enough for me to upgrade without disturbing my peace of mind. 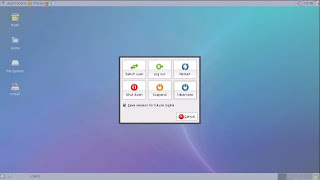 The first of the many changes in Xubuntu can be noticed at the boot options menu. You will now have a choice to skip the live session and start the installation process immediately. This is really a handy improvement since it somehow saves some extra time. I found no changes in the Wubi installer. It's still the same old straightforward Ubuntu-style installation. I noticed a slight bug when choosing the country and timezone. I can’t click on the bright orange dots or in any part of the world map when selecting the area, so I used the drop-down menu instead. Anyway, the set-up was finished in less than 30 minutes and without further problems. 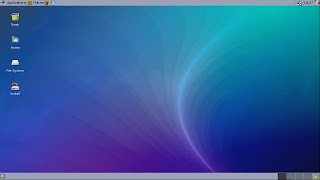 Xubuntu Hardy's looks or appearance is pretty much the same except for the new and brightly colored log-in menu screen and wallpaper. It is still using Murrina Storm Cloud as its default theme. Other significant change is the inclusion of the "Places" menu plug-in found at the top panel for easy access to most frequently used files and documents. Xubuntu 8.04 has plenty of upgraded and added packages out-of-the-box. 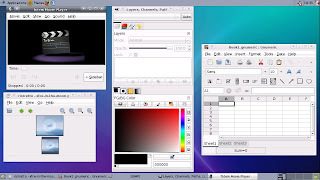 It now features the latest XFCE 4.4.2 desktop, Linux 2.6.24 kernel, X.org 7.3, Gnome Office 2.20.2 and Firefox Beta 4 among others. Also worth noting is the new image viewer called Ristretto. It is indeed more functional than Gqview. The PulseAudio sound server is already integrated in the desktop for quality sound output. There's also a new "screen resolution utility" with added feature that will let you easily configure multiple video displays. Other significant addition and improvements were virtualization support and security features. There are quite a number of issues that I've encountered in this Beta version of Xubuntu 8.04. Some of my important hardware devices were not properly configured like my Ethernet for example, and I had to add "apic nolapic" parameter at boot which was not needed in "Gutsy" at all. Since I understand that it is still a development release, I don't want to enumerate further all the minor problems that I have noticed in Xubuntu 8.04 Beta. 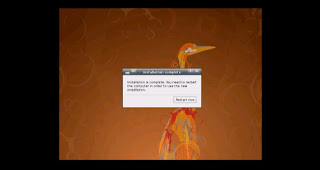 The expected release date is getting nearer and nearer, but Xubuntu 8.04 “Hardy Heron” still can’t fly. 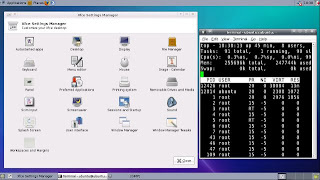 I have high hopes for this LTS release version, and I expect Xubuntu developers will unleash a well-polished Linux operating system at the right moment. For now, I’ll sit back, wait, and hope that this heron, I mean distro will soar in due time. 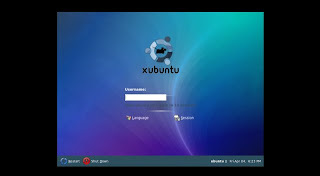 PS: If you want to try Xubuntu 8.04 Beta, you can get it HERE. PS2: I'll be updating my Xubuntu on Macbook Pro post soon. Just a minor note: The accepted practice for subsequent post scripts, (and Sony trademark-suit proof), is - Post Script (P.S. ), Post Post Script (P.P.S. ), Post Post Post Script (P.P.P.S. ), etc. Just mentioning it because a hallmark of Open Source is a lack of bugs. 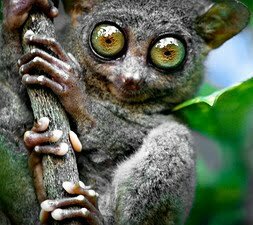 @jun auza - I'm glad to hear that, as you've used it. If you like it, then probably others will too.